These are just a few of our favorite things here at Penguin Crossing Bed and Breakfast. If you enjoy these things as well, we know you will love our 1820s brick farmhouse situated on 300 acres of farmland. Delightfully decorated in bold, cheerful colors and patterns framed by original walnut woodwork. Five guest rooms all with private baths. Business travelers, tourists, families and couples on special romantic getaways all will enjoy our Midwestern hospitality. 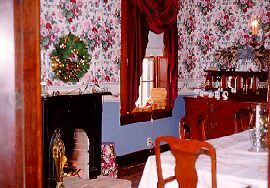 Lots to see and do in the area or just relax at the Bed & Breakfast Inn. Located just 25 miles South of downtown Columbus on State Route 56, just west of State Route 104, four miles west of U.S. Route 23 and quaint downtown Circleville. Rates: Prices are $80 to $225 per night. 20% Discount for midweek travelers and a generous corporate discount. Owners and operators, Ross and Tracey Irvin. 'We like to pamper our guests." 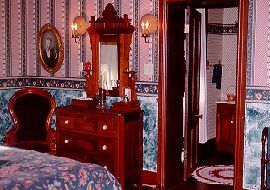 This and other Circleville Bed and Breakfast Inns can be found here in The Register.